This past weekend at C2E2 (Chicago Comics & Entertainment Expo), Diamond Select Toys officially unveiled the third and final (?) 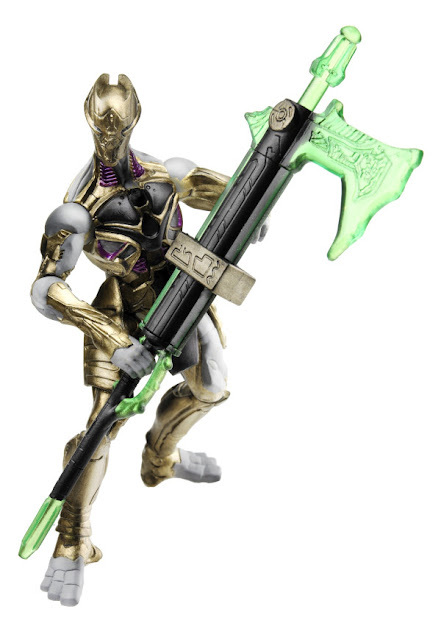 figure in their Avengers movie tie-in to the Marvel Select line, "Loki's Army Footsoldier", and today, they have released an official high-res photo of the toy. This figure has been available to pre-order from Big Bad Toy Store for several weeks, but their listing now shows the photo as well. This 7-inch beast is due out in July. 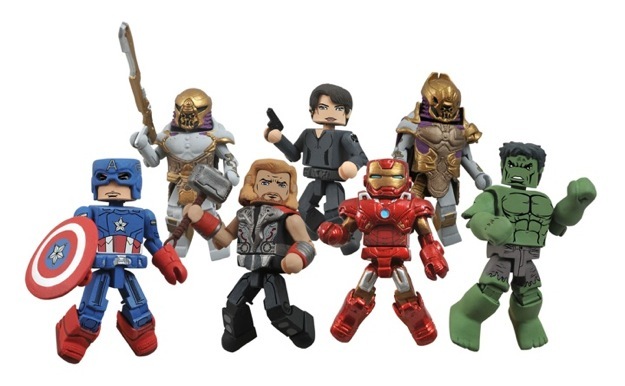 DST today also revealed that their popular Minimates line will feature a "Loki's Army Footsoldier" as part of a two-pack with Maria Hill, and also in a "rare variant set" that will feature the Footsoldier with his "even more intimidating General". Look for these sets to hit in early May. Not to be outdone, Hasbro has also released the above photo of their "Loki's Army Footsoldier" today, though that may or may not be the figure's official name. This appears to be the same figure that invaded the Toys R Us Time Square store last week, but the deco, sculpt detail, and articulation all look much better in this press photo. 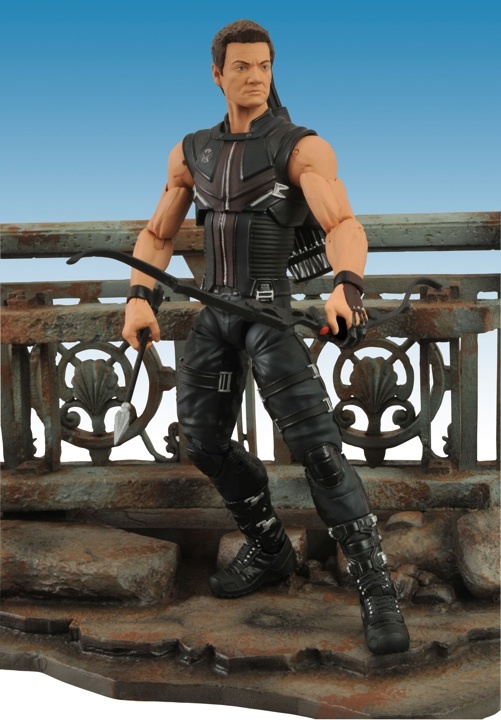 No official word yet on when this figure will be available, but if the final version of this figure looks as good as in that photo, I'll be army-building the heck out of these guys for my Avengers to battle. So just who exactly are the aliens that make up Loki's Army? 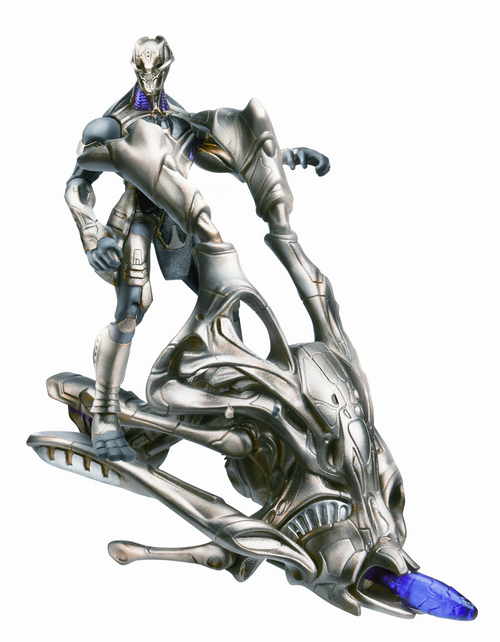 Are we going to have to keep spitting out the mouthful of "Loki's Army Footsoldiers" every time we want to describe these guys? The debate as to their identity has been engulfing the nerdier parts of the internet for months now, with many holding to the belief that these creatures were the Skrull, despite outright denial from Marvel's Kevin Feige. Well, now that the film has premiered (to the press, at least), writer/director Joss Whedon has officially "clarified" the aliens' identity. Not that it plays a pivotal point in the plot aparently, but if you don't want to know, stop reading now. 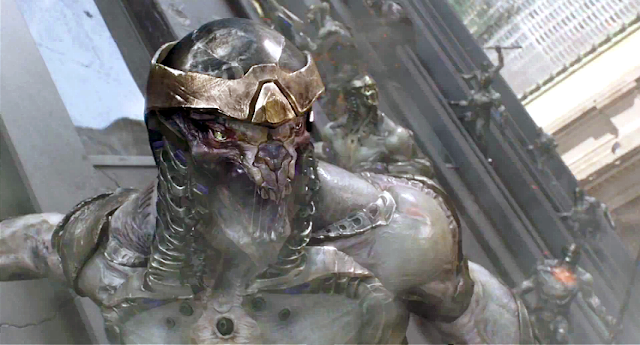 Speaking a recent press conference, Whedon had this to say: "The alien race are the Chitauri -- or a version of them -- because they are not one of the key races and they don’t have a storied history. That wasn’t the point. I know this debate will go on long after I’m dead. 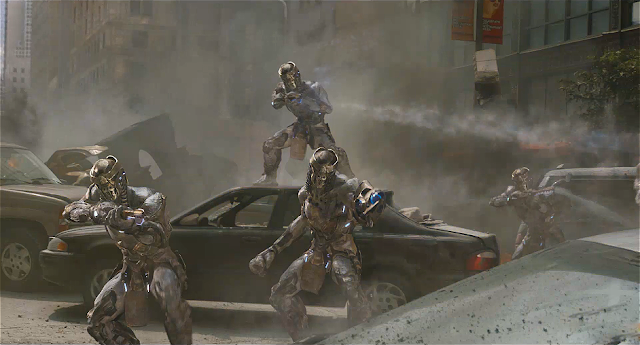 I would say it was the Kree-Skrull race." For those that don't know, the Chitauri are basically the Ultimate universe version of the Skrulls. That would make sense, considering that many aspects of these films so far have drawn an influence from the Ultimate universe. And for the record, I called it. 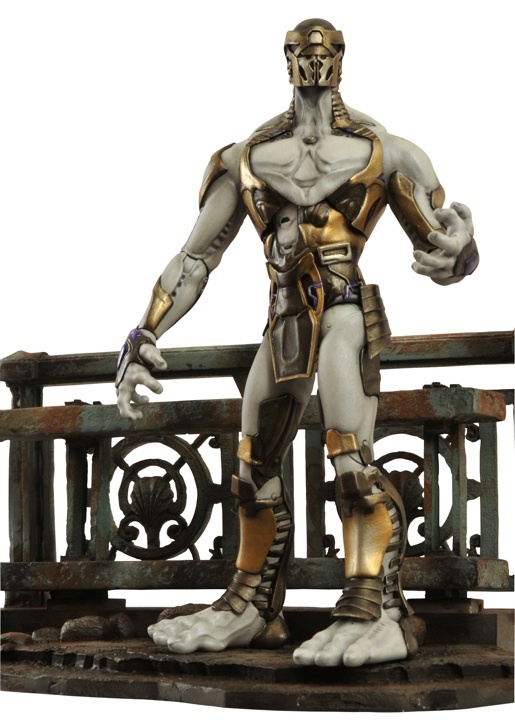 It was pretty hard to buy the action figure toys as the price was very high, but now the things has changed ActionFigureSale provides you the latest toys of the Avengers, Transformers, DC Characters in affordable price and of high quality.